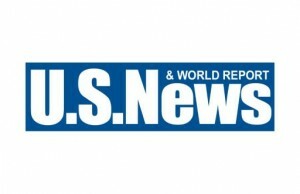 The 2012 “US News & World Report” rankings of national universities is out. So which university or, rather, universities top the list? That answer would be…Harvard University in a tie with Princeton University. Placing in third is Yale University followed in fourth place by Columbia University and the University of Chicago. The Massachusetts Institute of Technology placed sixth in a tie with Stanford University and Duke University and the University of Pennsylvania followed behind in a tie for eighth. Placing tenth is the California Institute of Technology in a tie with Dartmouth College. The 2012 “US News & World Report” ranking of national universities is out. Harvard and Princeton claimed the top spot. After Dartmouth and Caltech comes Northwestern University in the twelve spot, Johns Hopkins University in the thirteen spot, and Washington University in St. Louis in the fourteen spot. Brown University and Cornell University, two Ivy League colleges, tied for fifteenth. Yikes? Rice University and Vanderbilt placed seventeenth, while Emory placed twentieth. Georgetown University and the University of California – Berkeley placed twenty-first, while Carnegie Mellon University placed twenty-third. Rounding out the top twenty-five are the University of Southern California and the University of Virginia in the twenty-fourth slot. So Harvard and Princeton claim the top spot and six Ivy League universities rank in the top ten, with two others (Brown and Cornell) rounding out the top fifteen. What do you think about this year’s rankings? Do you notice any schools on the rise or on the decline? Let us know your thoughts on the “US News” national university rankings by posting below! And, while you’re here, check out our Ivy League Admissions Statistics. You do know it is all BS right? The numbers are always rigged, and it doesn’t mean a thing. If you are truly motivated, you will make it in this world. If not, despite an ivy or top school ranking, you will go nowhere. Just check all the unemployed Harvard people and the like, and then read the bios of everyone in business or on TV and where they went to school. It’s all about motivation and upbringing.And remember, the majority of top universities inhabit trust fund kids whose parents endowed lots of money to get their kids in. I’ve seen it first hand. Dimwits and drunks, and they are sitting pretty (literally), not ready to do the hard work, and/or are athletes whose only job is to maintain a C average while they are out smoking stevia and snorting adderall. The world will be a better place with kids who have true intellect, morals and values and work hard. I don’t mean to generalize, but this is the world I have personally seen, and it is truly disgusting. The kids who worked so hard in high school got passed over simply because they couldn’t afford to pay full freight or they didn’t pay enough to get in…..It’s a truly sad world.